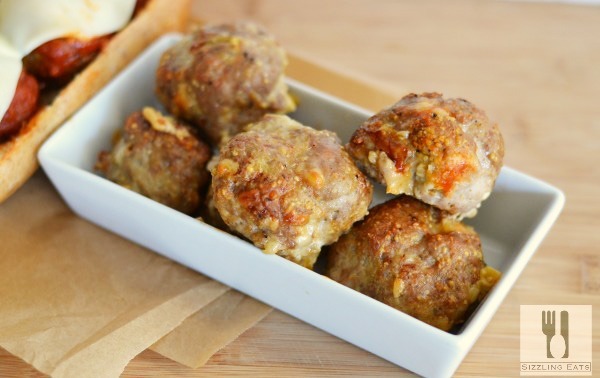 One of my favorite things about meatballs is the fact that they are just so versatile. So many people have their own versions which makes this food so delicious. I love that no two meatball recipes are alike and that’s totally fine with me. Variety is the spice of life so when I make meatballs I love to mix things up and toss in new flavors. 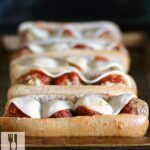 This week’s recipe is for turkey meatball sub sandwiches that were oven toasted and topped with melty provolone cheese. Seriously, I love meatball subs, grinder, sandwiches–whatever you want to call them. I typically use hamburger meat, but this time I wanted to mix things up and use some healthier, all-natural turkey meat. I love that the kind I buy is hormone-free, and void of anything yucky. It makes me feel happy inside that I am feeding something a little better to my family. It was funny because I made about 3 lbs of turkey meatballs and my picky kids didn’t even realize they were made of turkey! I added so many ingredients that they didn’t even blink. As a side note, my kids love flavorful food, and snub bland and boring things which is fine with me because no one wants a boiled meatball! When I was making these I felt like I was using everything but the kitchen sink! A little of this, and a little of that all came together to make for some moist, juicy, and flavor-packed turkey meatballs. Once cooled, add them to a pot filled with sauce and simmer, OR if you are adding them to the subs slice sub bread and add meatballs. 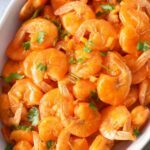 Serve with a side salad or chips. I didn’t feel like pasta and quite frankly I sorta hate pasta..yep, call me weird! I prefer to eat my meatballs on a sub or will a side salad; so that is just what I did! 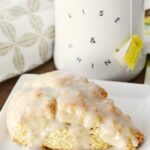 I hope you enjoy this recipe because it is well appreciated in this family of five. 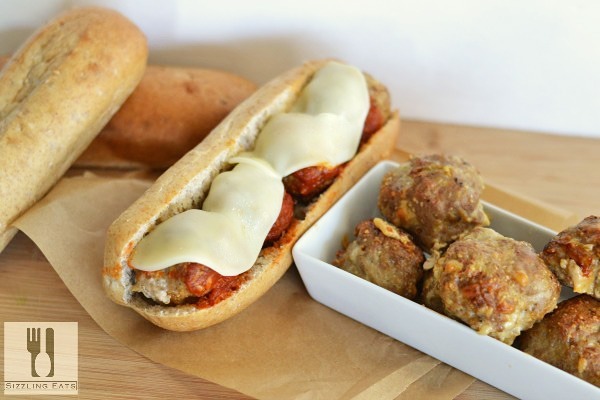 A delicious recipe for turkey meatballs served on a sub. Meatball subs are a favorite in our house. I love your turkey meatballs – nom. My husband loves meatball subs. I’ll have to share this with him – I bet he’d love it! Outstanding! I love meatball sandwiches, and using turkey keeps it healthy. Winner, winner turkey dinner! I’ve been looking for a good turkey meatball recipe. Excited to try yours! I love making turkey meatballs and I love a turkey sub. I am definitely making this for dinner one night this week. These look SO good! I am obsessed with meatball sandwiches!!! Oh, what a perfect sandwich sub. My kids would love this! Delish! These would be a big hit with the boyfriend. I’d love to try out the meatball recipe. Ohhh… I cannot wait to make these for myself! They look so delicious! 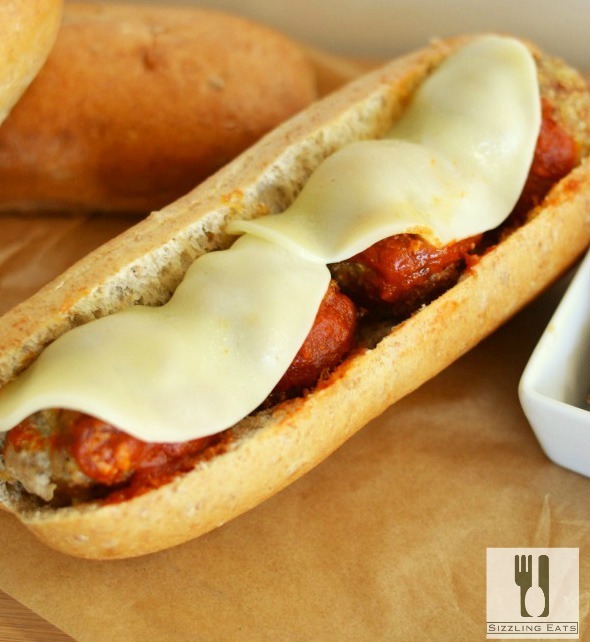 We love meatball subs! I’ve never made them with turkey meat before. I usually just cheat and buy the store bought meatballs tbh. 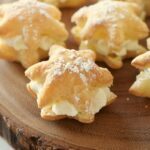 I may try these next time! This looks so delicious. 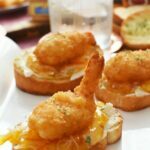 I will have to try making this on the weekend. I am sure my family will love it. I love meatballs. Actually, I prefer turkey meatballs over beef. 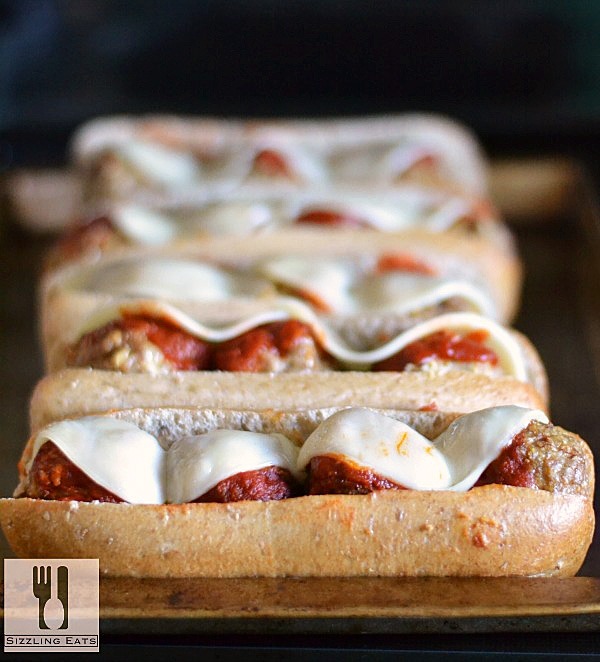 These meatball subs look delicious. That’s great yournkids didn’t even notice it was turkey! This looks spectacular! 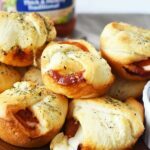 Oven baked and turkey meat too – this is a great option for my family! My husband loves meatball subs! I can’t wait to see how surprised he would be when he found out they were made of turkey!